We’d love your help. Let us know what’s wrong with this preview of The Lost by Natasha Preston. In the small town of Aurora, teens go missing all the time. But when one of Piper and Hazel's classmates disappears, they become determined to find out the truth of what happened to her. While investigating, they meet three handsome and rich grad students...who kidnap them. The girls are taken to a building in the middle of a privately-owned forest. The building isn't just In the small town of Aurora, teens go missing all the time. But when one of Piper and Hazel's classmates disappears, they become determined to find out the truth of what happened to her. I think The Lost just wasn't my type of read. It's well written and engaging, but I couldn't connect with this story. It's a good story full of twists and turns, but it's not for me. The right sort of reader will enjoy this one. Thanks to NetGalley for an arc in exchange for an honest review. I just HAVE to read this novel! Honestly, this was such a disappointing read. I've read and own multiple books from this author so I went into this hoping to really enjoy it. Unfortunately, that was not the case. I was surprised by how much I was put off while reading this book. The concept sounded really interesting and I was excited to read about the torture rooms and how they worked and how people experienced them. The pure intrigue of this aspect is what kept me reading and is the only reason why I finished this book at al Honestly, this was such a disappointing read. I was surprised by how much I was put off while reading this book. The concept sounded really interesting and I was excited to read about the torture rooms and how they worked and how people experienced them. The pure intrigue of this aspect is what kept me reading and is the only reason why I finished this book at all. It's also pretty much the only thing that got the book to 2 stars. And that's not the only contradicting thing that happens, it's throughout the entire book. Like one specific scene that really had me annoyed was the main character deciding she isn't going to cry anymore and let the kidnappers think they are breaking her. And then just a few paragraphs later she is crying. Wow, seriously? The characters aren't really likable in my opinion. There was no emotional connection to them at all and this may partly be the reason none of the torture rooms emotionally triggered me as I wanted. Because I just didn't care about the characters at all. The writing was juvenile as well. As I said, I've read other books by this author and they never bothered me the way this one did. It almost makes me feel like I'm too advanced for these kinds of YA books but that's not the case, it's just this writing that was awful. There was a plot twist near the end that was pretty good. It was pretty predictable in hindsight but I didn't suspect it so I was pleasantly surprised by this part. One of the things I liked the most about this book was the very end when we get two chapters in another perspective. We get to see into the mind of the bad guy. THIS was probably the single most enjoyable part of the book. Was definitely the most enjoyable part. And the ending...sucked. I hated the way the book ended. Some people might love it but I didn't like it at all. I feel like it should have either continued to a certain point or cut off a little bit earlier than it did. So for me, it just stopped in a very bad spot. Thank you so much to Sourcebooks Fire for providing me with an Advanced Readers Copy, via Netgalley, in exchange for an honest review. The quotes included in this review are subject to change upon publication. The Lost is about two girls, Piper and Hazel, who are best friends that get abducted. They meet two mysterious boys that take them to a secluded building in the forest and lock them in. The girls soon find out that there are multiple missing girls and boys that appear in this building and a Thank you so much to Sourcebooks Fire for providing me with an Advanced Readers Copy, via Netgalley, in exchange for an honest review. The quotes included in this review are subject to change upon publication. The Lost is about two girls, Piper and Hazel, who are best friends that get abducted. They meet two mysterious boys that take them to a secluded building in the forest and lock them in. The girls soon find out that there are multiple missing girls and boys that appear in this building and are forced to play a “game.” There are 6 different rooms, one with water, one with temperature, one with light, one with sound, a sleep deprivation room and a fight until the last one standing room. As soon as I started this story I quickly discovered that it was a fast paced, quick and engaging read. However, the plot and execution did not go over so well with me. The plot had a good storyline to it but it was told so basically that the writing did not stand out to me. I also did not establish a connection to any of the characters. The ending was also an issue for me, it was strange and disappointing. I received a free e-ARC through NetGalley from the publishers at Sourcebooks Fire. Trigger warnings: death, torture, drowning, abduction, violence, guns. When a number of teenagers go missing in their small town, best friends Piper and Hazel wonder whether there isn’t more to it. As they’re leaving a party one night, two rich and handsome local guys offer them a ride home, only to kidnap them and take them to a house in the woods. The house is a fortress of rooms and corridors, each of them a tes I received a free e-ARC through NetGalley from the publishers at Sourcebooks Fire. Trigger warnings: death, torture, drowning, abduction, violence, guns. When a number of teenagers go missing in their small town, best friends Piper and Hazel wonder whether there isn’t more to it. As they’re leaving a party one night, two rich and handsome local guys offer them a ride home, only to kidnap them and take them to a house in the woods. The house is a fortress of rooms and corridors, each of them a test of physical or psychological terror. Piper and Hazel have found the missing teenagers, but will they make it out alive to tell anyone? I didn’t enjoy Natasha Preston’s The Cabin, but YA horror is such a niche genre that I decided to give her books another try. For the most part, I’m happy that I did. The Lost is no great work of art; I can think of a dozen better YA horror novels and a couple of horror films with similar plots. But it is entertaining, and there’s something to be said for fiction that’s just that. The writing leaves a lot to be desired. The dialogue is indistinguishable from the narrative, to the point where I had to backtrack a couple of times to see whether Piper was thinking or speaking, which always strikes me as lazy. There are better ways to get ideas across in narrative, and while it might suit its teenage audience, I like to think teenagers are more than capable of reading something more sophisticated. Piper’s an improvement over the main character of The Cabin in a lot of ways. For one thing, she actually has a personality, and we’re able to see her toughness and stubbornness rather than just be told about it. She’s in a horrifying situation, but she manages to hold herself together and even resist her captors remarkably well. The rest of the characters are mainly background noise, and Piper’s relationship with her best friend, Hazel, is seriously underdeveloped. Hazel is barely present on the page. The villains are pretty flat with one exception, and the romance is a little rushed and instalove-ish; it needed to be introduced sooner so we had time to adjust to it before all hell breaks loose at the end. Horror-wise, it’s neither bad nor great. Preston has some interesting things to bring to the captivity angles, and her torture methods are unusual. Except for the water torture and the Hunger Games challenges, they rely mainly on things like sleep deprivation or sensory overload, which will probably make it more accessible to people who are sensitive to body horror (i.e., there isn’t much blood/gore). Anyone familiar with horror film will see the twist coming a mile away (there’s a movie with almost that exact plot), but that doesn’t mean it isn’t fun to watch it play out. To be honest, I’d be more interested in reading a sequel to this book than I was in reading this one, just to see where the characters take things next. This review has been hidden because it contains spoilers. To view it, click here. Let me start by saying this is not at all my kind of book. Teens being kidnapped, tortured in this house of hell but for some unknown reason I couldn't put it down I read it in a matter of a few hours. I give this author kudos for keeping my interest and sucking me in. I really don't want to give to much away. So if you like thrillers this one is for you. I’M MAD AT THE ENDING!!! This review has been hidden because it contains spoilers. To view it, click here. This plot could have worked, but the characters were the downfall. Piper boasts about her obsession with thriller, suspense, and mystery movies and TV shows. She wants to work in the criminal justice field after college. Her and her best friend Hazel decide to solve the mystery of the missing teens in their town with their zero sleuthing and common sense skills. In the process, Piper gains the attention of the hottest guy in town, Caleb, who is a college boy (or maybe graduate?) when he looks at This plot could have worked, but the characters were the downfall. Piper boasts about her obsession with thriller, suspense, and mystery movies and TV shows. She wants to work in the criminal justice field after college. Her and her best friend Hazel decide to solve the mystery of the missing teens in their town with their zero sleuthing and common sense skills. In the process, Piper gains the attention of the hottest guy in town, Caleb, who is a college boy (or maybe graduate?) when he looks at her in a cafe. Later that evening he appears at the lake (where the high schoolers hang out), catching her off guard and flirting with her. From one ID addict to another, this would raise red flags. She's known this guy for years and he's never given her the time of day. Why all of a sudden is he interested in her now? So Piper's crush and lack of brain cells allow Caleb and his friend Owen to give her and Hazel a ride home except they're actually the ones abducting teens and locking them in a renovated building in the middle of the woods. Upon meeting four other missing teens, they clarify that Piper and Hazel have been mislead. They're trapped in a fun house with Caleb and his friends randomly torturing their subjects with water, sound, light, temperature, sleep deprivation, and fighting to the death. The conflicts and twists were predictable, but Piper's impetuous and idiotic decisions were frustrating. The martial artist and ID addict in me kept track of everything wrong they were doing when they had chances to escape (despite the original option of ignoring the random attention of an older guy) and the lack of them wanting to fight. Anything can be used as a weapon. Why didn't they refuse to exit the room whenever they were buzzed over the loudspeaker and then wait for someone to check on them and then throw the TV at them? Or the microwave? Or chairs? The final pet peeve was the ending. What kind of ending was that? It's like the ARC was left unfinished or cut off in the middle of a scene. It would have been more powerful if Piper had been an unreliable narrator from the start and then ending as she grabbed Evan's hand and smirked, letting the audience know she was on the opposing side all along. I really enjoyed this one: I genuinely didn't want to stop reading, I wanted to know what was going to happen. I had my suspicions about one character and was proved right, but it didn't take from the enjoyment at all. I really hope Natasha is planning to write more in this series, because otherwise that was a very cruel ending. Fantastic read, I'll be recommending it. Receiving an ARC did not affect my review in any way. "I want to be in the city, and i know this doesn't sound probable, but I want I really enjoyed this one: I genuinely didn't want to stop reading, I wanted to know what was going to happen. I had my suspicions about one character and was proved right, but it didn't take from the enjoyment at all. I really hope Natasha is planning to write more in this series, because otherwise that was a very cruel ending. "I want to be in the city, and i know this doesn't sound probable, but I want to be a detective, finding murderers." Theo's half smile grows. "If that's what you want to do, Piper, you should go for it. There's no reason why you can't." "Theo to the waiting room," a voice I don't recognise booms through the speaker above us. He looks at me, his dark brown eyes dulling with defeat. "It'll be okay," I tell him. Once I started this book I couldn't put it down! Once again this author does not disappoint. She really makes you wonder how you would respond to a situation and how much could you handle before giving up. I really enjoyed this book! I was hooked from the start and it held me all the way through! I was a smidge disappointed by her last release, but this book was everything I expect from Natasha Preston. Thank you Sourcebooks for the arc via Edelweiss. I found the dialogue a little elementary at first but was able to look past it. I wanted to scream at the girls to run.. It was quite a ride that would fit well as a movie. I read it in a day. And it ends with a jaw drop. ok so the ONLY reason it got 3 stars was because of how good the ending was. the whole rest of the book felt like a teenager wrote it without editing it and then posting it on wattpad. there were so many plot holes. piper said like 3 times that it was june when she got taken but then suddenly it was july. and then it was june. and then it was august. it was so weird. omg they were so stupid. and the torture rooms were even more stupid. when i saw that it was going to be a game where they went th ok so the ONLY reason it got 3 stars was because of how good the ending was. the whole rest of the book felt like a teenager wrote it without editing it and then posting it on wattpad. there were so many plot holes. piper said like 3 times that it was june when she got taken but then suddenly it was july. and then it was june. and then it was august. it was so weird. omg they were so stupid. and the torture rooms were even more stupid. when i saw that it was going to be a game where they went through various rooms, i thought they had to like solve a puzzle or something. no. just a really hot room then a really cold room. then omg evan came out of nowhere. literally nowhere. and suddenly piper loved him and the rest of them hated him. for some reason. he gave no reason for either of them to suddenly love him or hate him. they didn’t know him. When Piper notices a pattern of missing teens in her hometown, she does not believe the transparent excuses that others are accepting- she's convinced that something or someone sinister is behind the mass exodus. She and her best friend Hazel have barely begun investigating before they are abducted by a group of bored, rich, college students who have developed a house of horrors where they physically and emotionally torture their victims in some kind of sick game. Escaping will take every ounce of courage and ingenuity that Piper has- and in the end she might have to make some devastating choices about what she'll do to survive, and who she can trust to achieve her freedom. This book was creepy as all heck! Although I'm not entirely thrilled about the twist ending, boy did Preston keep me turning pages! "If there was a rating less than one, I would have given it. I picked this book up as it sounded interesting. A dark adventure. It was basically a book about kidnapping, torturing and killing teenagers, done by other teenagers. I found it to be, well, just sick. Who writes this stuff and passes it off as YA? Is the world not dark enough, sick enough, hopeless enough for young people that they need to be drawn into this kind of crap. If you are an adult looking for a book for a YA, pick something "If there was a rating less than one, I would have given it. I picked this book up as it sounded interesting. A dark adventure. It was basically a book about kidnapping, torturing and killing teenagers, done by other teenagers. I found it to be, well, just sick. Who writes this stuff and passes it off as YA? Is the world not dark enough, sick enough, hopeless enough for young people that they need to be drawn into this kind of crap. If you are an adult looking for a book for a YA, pick something else. If you are a YA looking for a good read, pick something else. This is not it. Although it was such an adventure with Piper and Hazel! I couldn’t believe Celeb, Owen and Matt have been picking up random runaways to their playhouse of torture, and putting all runaways to a test of survival between the bad guys... I had a quite a shock of Even!! You have to GOT to READ this Book! .... I didn’t want to explain to much of this book to others who haven’t read it yet! This is actually my first review I don’t hardly do them and I was never in a reading group at my school, so hopefully my first review is a good or Best One for those who may read my review! Natasha Preston does it again - I seriously love her books. 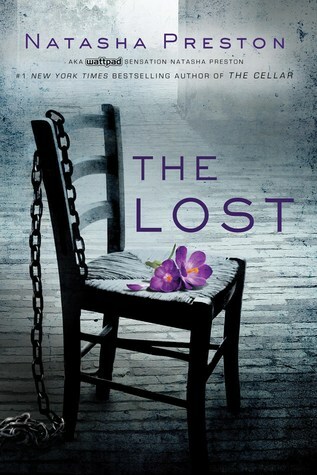 The Lost kept my attention from start to finish and all of the twists and turns kept me wanting to scream at the real world for interrupting me when I just wanted to read! Honestly, my only complaint is that it leaves you with so many questions! I need more. This review has been hidden because it contains spoilers. To view it, click here. I'd love to be able to give this book 5 stars, but since there doesn't seem to be a sequel I have to lower it. Sorry. It drives me crazy when I really love a book and it basically doesn't end. Now, if I find out that there is or will be a book 2, then I would change my rating to 5 stars in a heartbeat! This book plays with your emotions!!! Let’s just start off by saying I love all her books. But this one had me questioning why, how, how could they, how evil these characters our. It was very interesting and kept me wanted more. And I just could not believe the ending. So if you looking for a book that has crazy sick characters, and see how these kids could or will they survive the hell they was in. This is the book for you! Ahhh, keeps you guessing until the very end! Another page turner for sure! Piper has the will to fight like no other, but the challenges ahead of her are set to break down any hope she has. Natasha keeps you guessing until the very end! Ok. Where to begin? First of all, this author certainly has a very advanced imagination. Such an original storyline. It loses a star, however, because the ending is not as dramatic as the story but it does leave me wanting a sequel. Hopefully there is one. I really feel for Piper! This review has been hidden because it contains spoilers. To view it, click here. The Lost is a chilling tale that will surprise you until the end. Don't read this book if you want a happy fairytale ending. However, If you have ever wondered what it looks like inside a psychopaths head, this is the right story for you. UK native Natasha Preston grew up in small villages and towns. She enjoys writing contemporary romance, gritty Young Adult thrillers and, of course, the occasional serial killer.